Back in the final months of 2013, Hyundai discontinued some of the top-end variants of the i10 compact hatchback to enable a sizeable gap to the prices of the then-newly launched Grand i10. It meant the automatic gearbox option was terminated and from then on the i10 featured a single engine in the form of 1.1-litre iRDE2 petrol motor across Era, Magna and Sportz variants with an LPG version in the top-end. 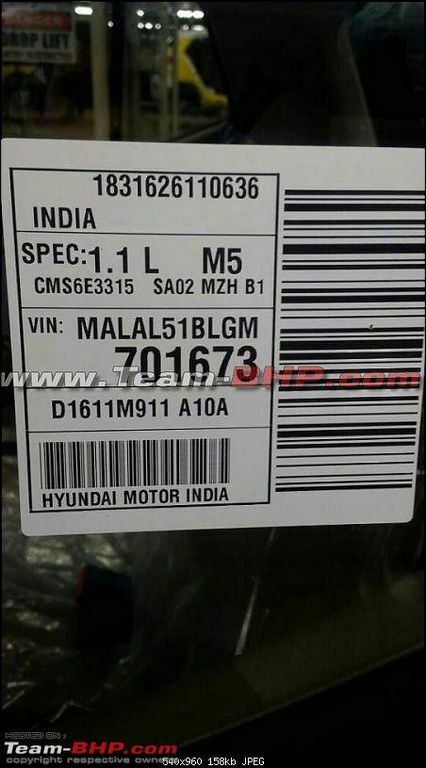 Gone were the days when i10 continued to pump out over 8,000 units of average monthly sales due to the introduction of Grand i10 but Hyundai kept the model selling simply because customers still preferred to own it and resultantly over 1,500 units are being sold on average every month. The rumours of Hyundai i10’s discontinuation from production emerged when the Santro was tipped to replace it in the first half of 2018. 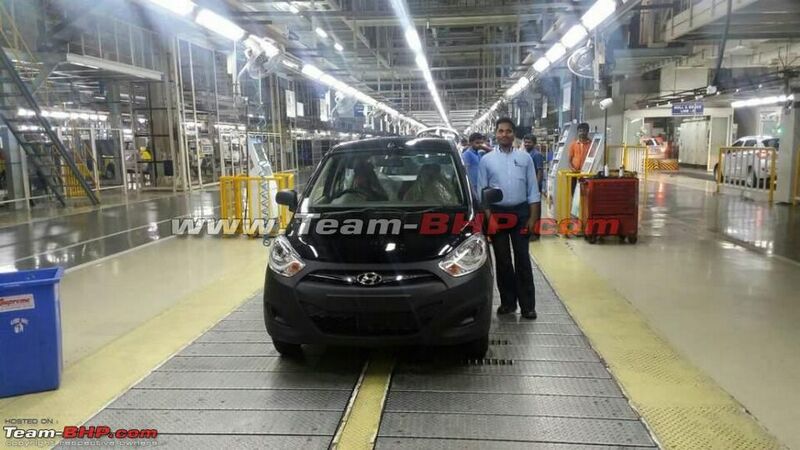 It appears now that Hyundai has pulled plugs on the i10 hatchback altogether. According to a report on Team-BHP, a black i10 photographed on top was the final production model from HMIL’s manufacturing facility in Tamil Nadu. 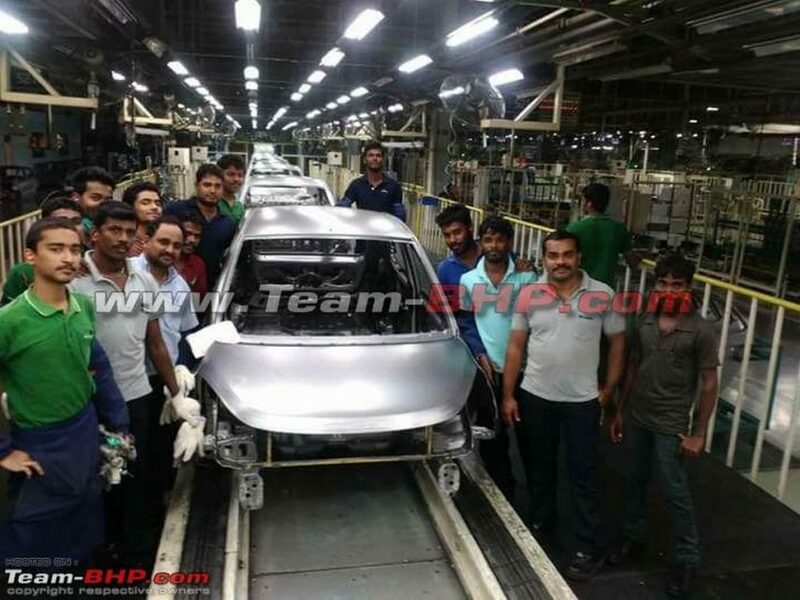 The Sriperumbudur plant near Chennai acted as the global hub for the i10 before the production shifted to Turkey when the second-generation arrived in 2013. The South Korean auto giant pioneered the tall-hatch design for the Indian market through Santro in the early parts of last decade. Along with it and the MPFI technology in the Santro, ensured them becoming the second largest automaker in the country. While the original Santro rivalled the iconic Zen and Alto, the new-gen model has been reported to be entirely different as it will square-off against the likes Maruti Suzuki Alto 800 and Renault Kwid. It could be priced around Rs. 4 lakh and play a key role in Hyundai achieving its target of one million selling units by the end of 2020.